(a) Appeal From a Judgment, Order, or Decree of a District Court Exercising Original Jurisdiction in a Bankruptcy Case. An appeal to a court of appeals from a final judgment, order, or decree of a district court exercising jurisdiction under 28 U.S.C. §1334 is taken as any other civil appeal under these rules. (b) Appeal From a Judgment, Order, or Decree of a District Court or Bankruptcy Appellate Panel Exercising Appellate Jurisdiction in a Bankruptcy Case. (i) If a timely motion for rehearing under Bankruptcy Rule 8015 is filed, the time to appeal for all parties runs from the entry of the order disposing of the motion. A notice of appeal filed after the district court or bankruptcy appellate panel announces or enters a judgment, order, or decree—but before disposition of the motion for rehearing—becomes effective when the order disposing of the motion for rehearing is entered. (ii) Appellate review of the order disposing of the motion requires the party, in compliance with Rules 3(c) and 6(b)(1)(B), to amend a previously filed notice of appeal. A party intending to challenge an altered or amended judgment, order, or decree must file a notice of appeal or amended notice of appeal within the time prescribed by Rule 4—excluding Rules 4(a)(4) and 4(b)—measured from the entry of the order disposing of the motion. (B) The record on appeal. (i) Within 14 days after filing the notice of appeal, the appellant must file with the clerk possessing the record assembled in accordance with Bankruptcy Rule 8006—and serve on the appellee—a statement of the issues to be presented on appeal and a designation of the record to be certified and sent to the circuit clerk. 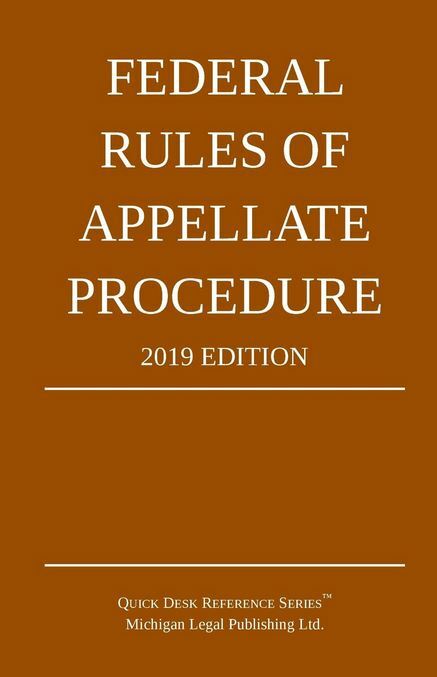 (ii) An appellee who believes that other parts of the record are necessary must, within 14 days after being served with the appellant’s designation, file with the clerk and serve on the appellant a designation of additional parts to be included. • a certified copy of the docket entries prepared by the clerk under Rule 3(d). (i) When the record is complete, the district clerk or bankruptcy appellate panel clerk must number the documents constituting the record and send them promptly to the circuit clerk together with a list of the documents correspondingly numbered and reasonably identified. Unless directed to do so by a party or the circuit clerk, the clerk will not send to the court of appeals documents of unusual bulk or weight, physical exhibits other than documents, or other parts of the record designated for omission by local rule of the court of appeals. If the exhibits are unusually bulky or heavy, a party must arrange with the clerks in advance for their transportation and receipt. (ii) All parties must do whatever else is necessary to enable the clerk to assemble and forward the record. The court of appeals may provide by rule or order that a certified copy of the docket entries be sent in place of the redesignated record, but any party may request at any time during the pendency of the appeal that the redesignated record be sent. (D) Filing the Record. Upon receiving the record—or a certified copy of the docket entries sent in place of the redesignated record—the circuit clerk must file it and immediately notify all parties of the filing date.